On December 17, 2014, the Securities and Exchange Commission (the “SEC”) charged Avon Products Inc. with violating the Foreign Corrupt Practices Act (FCPA) by failing to put controls in place to detect and prevent payments and gifts to Chinese government officials from employees and consultants at a subsidiary. Avon entities agreed to pay a total of $135 million to settle the SEC’s charges. The U.S. Department of Justice and the U.S. Attorney’s Office for the Southern District of New York announced parallel charges. The SEC alleges that Avon’s subsidiary in China made $8 million worth of payments in cash, gifts, travel, and entertainment to gain access to Chinese officials implementing and overseeing direct selling regulations in China. Avon sought to be among the first allowed to test the regulations, and eventually received the first direct selling business license in China in March 2006. The improper payments also were made to avoid fines or negative news articles that could have impacted Avon’s clean corporate image required to retain the license. Examples of improper payments alleged in the SEC’s complaint include paid travel for Chinese government officials within China or to the U.S. or Europe as well as such gifts as Louis Vuitton merchandise, Gucci bags, Tiffany pens, and corporate box tickets to the China Open tennis tournament. According to the SEC’s complaint filed in U.S. District Court for the Southern District of New York, the improper payments occurred from 2004 to 2008. Avon management learned about potential FCPA problems at the subsidiary through an internal audit report in late 2005. Avon management consulted an outside law firm, directed that reforms be instituted at the subsidiary, and sent an internal audit team to follow up. Ultimately, however, no such reforms were instituted at the Chinese subsidiary. Avon finally began a full-blown internal investigation in 2008 after its CEO received a letter from a whistleblower. The SEC alleges that Avon’s books and records failed to accurately record the details and purpose of the payments. In some instances, payments were concealed by falsely recording the transactions as employee business expenses or as reimbursement of a third-party vendor. In other instances, the records for the payments set forth almost no detail at all. The resulting books and records did not allow a reviewer to ascertain the government official or state-owned entities that received the payments or the purpose for which the payments were made. The SEC’s complaint charges Avon with violating Sections 13(b)(2)(A) and 13(b)(2)(B) of the Securities Exchange Act of 1934. Avon agreed to pay disgorgement of $52,850,000 in benefits resulting from the alleged misconduct plus prejudgment interest of $14,515,013.13 for a total of more than $67.36 million. In the parallel criminal matter, Avon entities agreed to pay $67,648,000 in penalties. Avon also is required to retain an independent compliance monitor to review its FCPA compliance program for a period of 18 months, followed by an 18-month period of self-reporting on its compliance efforts. 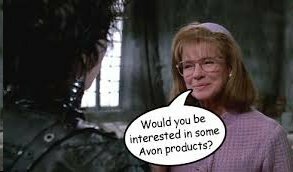 Avon would be permanently enjoined from violating the books and records and internal controls provisions of the federal securities laws. In reaching the proposed settlement, which is subject to court approval, the SEC considered Avon’s cooperation and significant remedial measures. For further information about this securities law blog post, please contact Brenda Hamilton, Securities Attorney at 101 Plaza Real S, Suite 202 N, Boca Raton, Florida, (561) 416-8956,, or by email at [email protected]. This securities law blog post is provided as a general informational service to clients and friends of Hamilton & Associates Law Group and should not be construed as, and does not constitute legal advice on any specific matter, nor does this message create an attorney-client relationship. Please note that the prior results discussed herein do not guarantee similar outcomes.